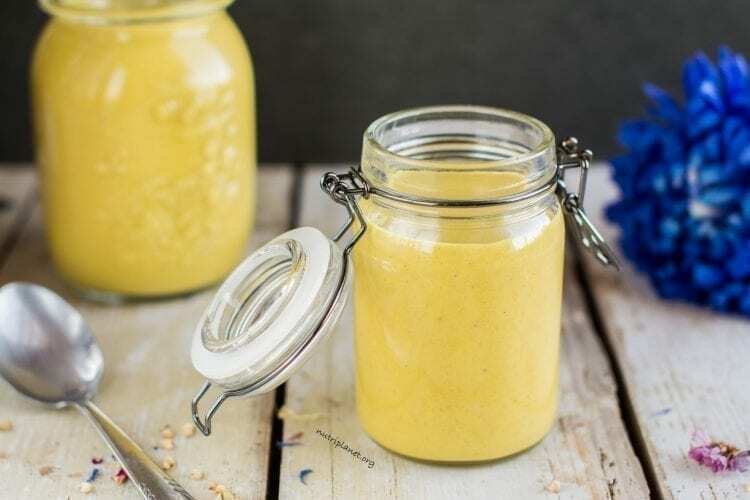 Here’s an easy and quick oil-free vegan salad dressing with tahini and chickpeas that effortlessly makes your meals complete. It gives this on-spot freshness and richness to your abundant or simple salads. You just need a blender and 10 minutes of your time! P.S. Don’t forget to scroll down for tutorial video! As this vegan salad dressing so well demonstrates, you don’t need oils to go with your Buddha bowls or simple salad with steamed veggies. Instead you can use nut and seed butters for richness and good fats, legumes for thickness, herbs and spices for flavour and water to thin it out. It’s as simple as that! I never consume store bought salad dressings because they are full of salt, refined oils, sugars, artificial sweeteners, low-quality vinegars and all sorts of other ingredients that I cannot even pronounce. All things considered, they are better left alone. 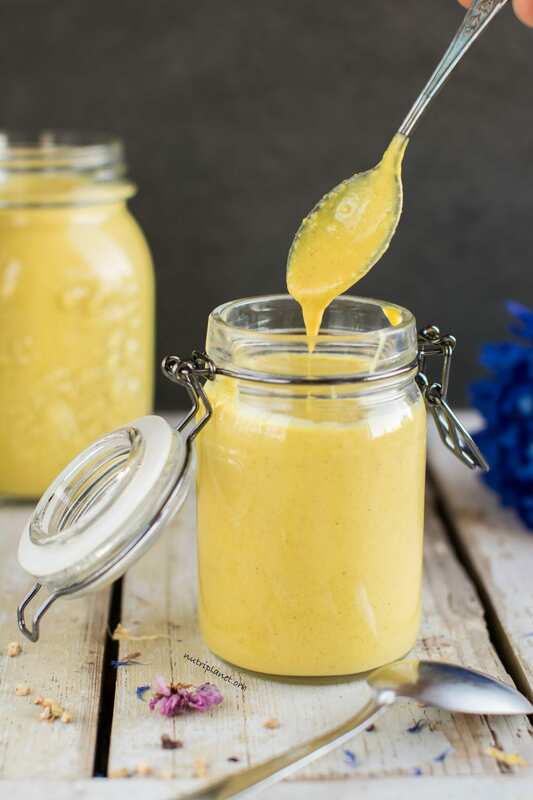 Furthermore, this vegan salad dressing recipe is perfect for batch cooking – if you have a big family, make a double of this recipe and store in fridge in properly sealed containers or mason jars. However, I don’t recommend making any foods for more than 3-4 days ahead as moulds can develop really fast. It’d always be the best to eat freshly made food or alternatively cool and freeze any leftovers. The latter being said, consider making half of this recipe, if you’re going to eat the dressing by yourself. Unless of course your portions are big! Finally, throwing together a balanced salad bowl with leafy greens and veggies becomes so quick and easy, if you have this oil free vegan salad dressing in the fridge. With this in mind, there is no excuse not to treat yourself with a healthy and nourishing dinner after those long days. 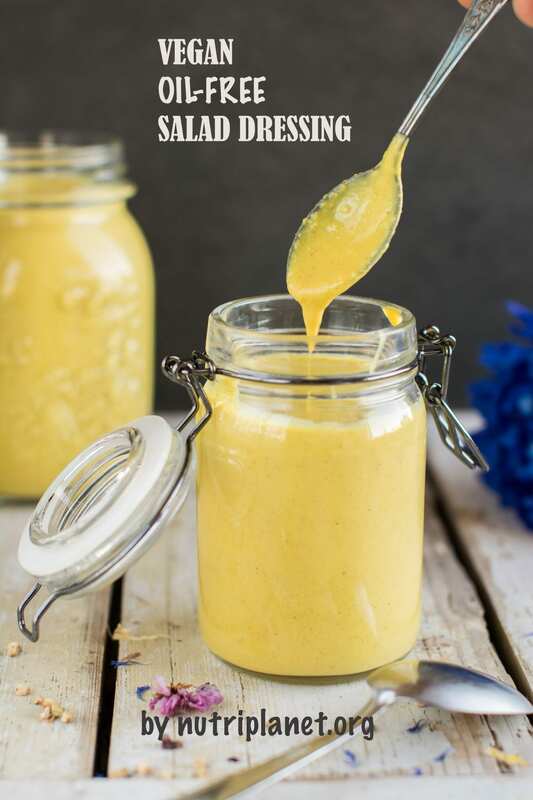 I sure hope you’ll find this vegan salad dressing a great addition to your easy, quick and versatile recipes that effortlessly make your meals complete. Do let me know if you make this recipe! Simply comment below and tag me in social media. Use regular blender or immersion blender to process all ingredients into smooth dressing. Adjust consistency to your liking by adding more or less water. Nutritional info (⅙ of the recipe): 155.4 kcal, 16g carbohydrates (38.5% of kcal), 7.52g fats (43.6% of kcal), 9.94g protein (25.6% of kcal), 6.04g fibre, and 5.4 GL points. If you don’t have tahini, use any nut or seed butter, e.g. peanut butter, sunflower seed butter, pumpkin seed butter, almond butter, cashew butter, hazelnut butter. Stevia can be substituted with any other preferred sweetener, if you’re not on Candida diet, e.g. maple syrup or agave syrup. You can use white beans instead of chickpeas not to mess with the colour of the dressing. 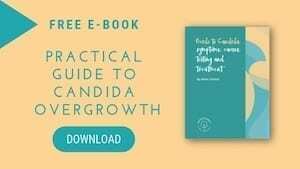 However, I don’t recommend it, if you’re on Candida diet or struggling with blood sugar fluctuations as big white beans have higher glycemic load. Instead of whole mustard seeds, feel free to use about ¼ tsp. of good quality organic mustard. This dressing can also be made without yogurt. Just add a bit less liquid. Should you have taste for it, substitute garlic powder with fresh garlic clove. Make this vegan salad dressing lower in fat by adding less tahini or ditching it altogether. You can use juice of one lime instead of lemon. I use psyllium because it thickens the dressing, so that I can add more liquid and therefore have bigger quantity, i.e. more servings with the same amount of tahini. If you don’t care or can’t get your hands on psyllium, just use less water. If you live alone and don’t consume that much dressings, make half batch or store any leftovers in fridge in mason jar.